I still feel like Christmas was only yesterday, yet I'm already getting excited for Easter (I think it's got something to do with the endless amount of mini eggs I've been eating). Today I thought I would share with you five things that I've been loving recently. Harry Potter | I'm sure you're under no illusion about how much I love Harry Potter. Especially around this time of year when you can feel rather glum, I always like to delve into the Wizarding World whether it's via film or book. 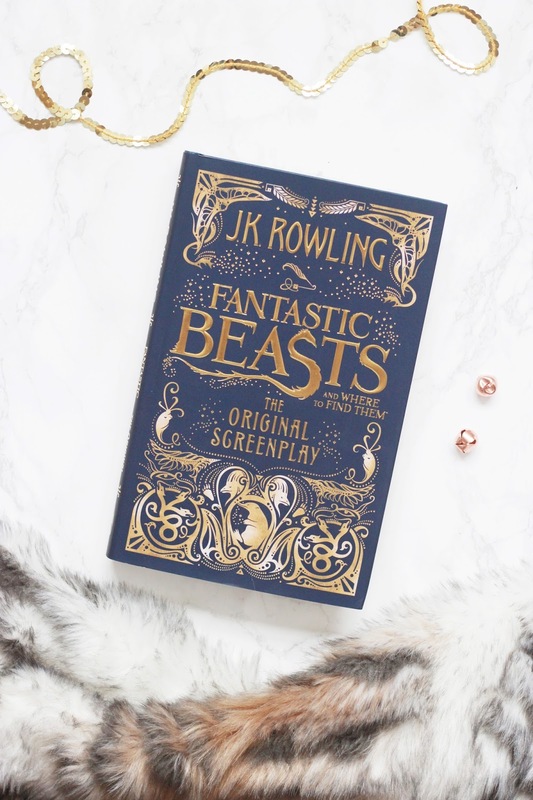 I can't wait to get Fantastic Beasts on DVD because I've been loving reading the screenplay! A Cosy Evening In | "Cosy" is definitely my buzz word this Winter and I've been using it beyond belief. Snuggling under several blankets with a film and having a candle lit bath before hopping into a bed with a book is my favourite thing at the moment. I've had a bad back this week, so I've been ever so grateful for hot water bottles and deep heat to help soothe me after a long day. Diptyque candles are currently filling my wishlist (the gorgeous Limited Edition Valentine's offering is too cute to resist!) and I have my eye on some new loungewear too - This Avocado PJ Set is still sitting in my saved section. My Achievements | I've never been one to talk about my achievements, in fact I went through a stage of purposely playing myself down. This year I made it my mission to tweet whenever I was happy about something to do with my blog and to share more about what I do to the people around me. I've got some great content coming up on my blog and this week has been full of exciting emails that I can't wait to share with you either. New Series | Sherlock was one of the series that was on my to-watch list in 2016, but I never got around to watching it until this month. Although they are hour and a half long episodes, it's a super easy series to get through. The Goldbergs, my top feel good pick, has a new series out at the moment and I've been loving having the old back to back episodes to watch whenever I please. Embracing Every Event | Whether it's gazing at the full moon or prepping for Valentine's Day, I want to make sure that each season and event is recognised - mainly to make sure I'm kept busy at this time of year. I've been using this new year as an excuse to spruce up and start afresh, starting with my blog and then making small changes in my day-to-day life too.